In this post we examine 5 of the best-selling 4k monitors. The race for higher definition monitors and TVs continues as manufactures come up with more ways to sell you new equipment. The new trend is 4K, which is short for higher definition. 4k displays offer a higher pixel count than 1080p monitors. Typically 4k or Ultra HD tops out at 3840x2160 pixels. 3840 being close enough to 4000 to warrant the 4K moniker. It’s twice as many pixel rows and columns than 1080p displays and offers sharper text and images (Source). High definition 4K monitors work much like any other LCD display. The display is made up of two glass panels that ‘sandwich’ the liquid crystals. A backlight (usually LED) shines through the glass and the crystals. Electric current passed through the crystals cause them to allow varying degrees of light to pass through, which displays the image on your screen (Source). Buyers say if you’re into gaming, you’re going to want to be sure you have a powerful graphics card to ensure games have smooth, playable frame rates. Also, while much is made about VESA mounting, most 4K computer monitors will be used on a desktop so this shouldn’t be a dealbreaker if it doesn’t have that capability (Source). We looked at 5 reasonably priced 4K monitors, all of which would be a good buy and a step up if you’re coming from a 1080p display. The Asus PB287Q 28” 4K Monitor features Asus’ flicker free technology, which reduces eye fatigue. Buyers recommend setting display port to V1.2 from the default V1.1 setting. Some users complain of backlight bleed but overall it’s a decent monitor for the price. The Sceptre 27” IPS Ultra 4K LED Monitor features In Plane Switching panel, which improves viewing angles. It’s VESA mountable and includes two HDMI inputs and a DVI input. The only real negative is that the base requires some minor assembly. Buyers like the thin bezels and say it’s a solid purchase. The Dell Ultra HD 4K Monitor is one of the best we looked at because the monitor has been properly color calibrated at the factory so that it arrives with the most accurate colors as possible. It comes with an adjustable stand and is VESA mountable. The IPS panel offers superior viewing angles and has a 60hz refresh rate. Buyers say the high pixel density is comparable to Apple’s Retina displays. Next up is the LG 27UD58-B 27 inch 4K UHD IPS Monitor, which features FreeSync technology that supports dynamic refresh rates to minimize screen tearing. It features a matte finish for reduced glare. 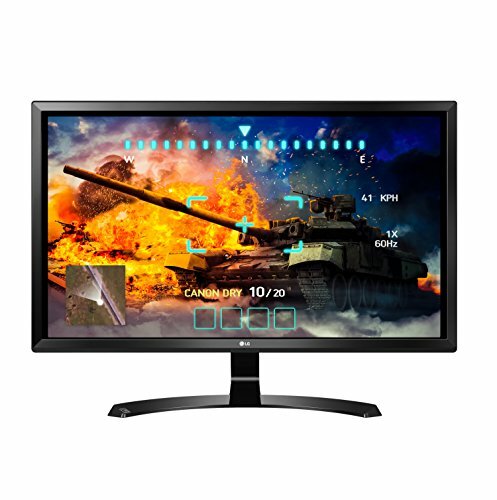 Decent entry level 4K monitor with several game modes for enhanced gaming. Last up is the Samsung U28E590D 28 inch UHD LED Monitor, which also has FreeSync technology. This monitor stands out for its Picture in Picture capabilities. Connect Ultra HD devices. Negatives are No VESA mount and buyers say there are issues with not getting 4K resolution with certain Nvidia graphics cards. 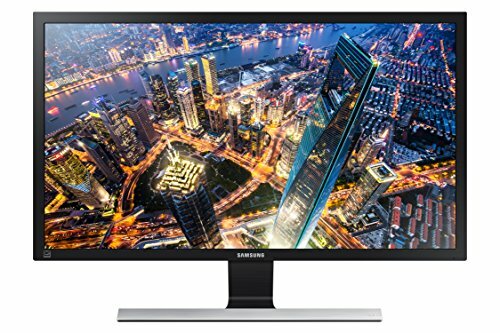 If you are looking for a 4K monitor, you might want to consider the Samsung U28E590D 28-Inch model.Users like the colors of this monitor, but do complain about the fixed stand. This UHD monitor offers 4 times higher resolution than Full HD. 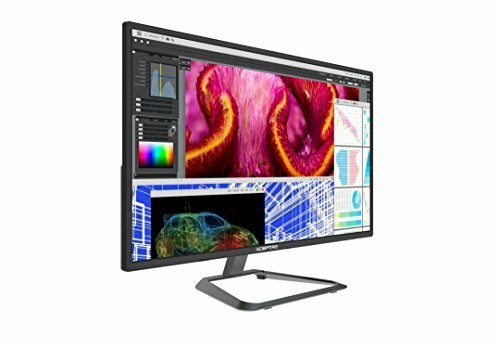 The manufacturer boasts that it gives you 64 times more color than conventional monitors (more than 1 billion colors). Thanks to this, you can enjoy a richer, more accurate picture. The monitor is available in two sizes: 24’’ (UE590) and 28’’ (U28E590D). This item might be a solid choice if you want to experience realistic UHD picture quality. 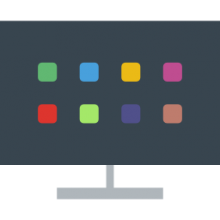 The general user consensus concerning the Samsung monitor U28E590D is that the colors are clear and vibrant and that the screen is nice matte (no glare problems). They agree that it is a great monitor for coders. However, many buyers complain about the stand which is non-adjustable and tilts slightly downward. Another complaint concerns the lack of built-in speakers. If you’re looking for a top-rated 4Kmonitor, you might want to consider the LG 27UD58-B monitor. Users like the quality of this monitor, but some do complain of back light bleeding. This product is a 4K UHD (3840 x 2160) IPS monitor. It features 8.3 million pixels for breathtaking clarity and fine details. Another feature is the Free Sync which allows gamers to experience seamless, fluid movement throughout hi-res, fast-paced games. There are 2 sizes available: 24’’ (24UD58-B) and 27’’ (27UD58-B). This item could be a good choice if you’re looking to take work and play to new heights with the lifelike details of 4K UHD. In general, users state that the LG monitor 27UD58-B meets their expectations.They agree that it has vivid colors, crisp images, and that the quality is overall excellent. Users conclude that it is a great value for the money. However, some complain about back light bleeding.Others complain about the lack of built-in speakers. LG 27UD68-W Review | The Best 4K UHD Monitor? 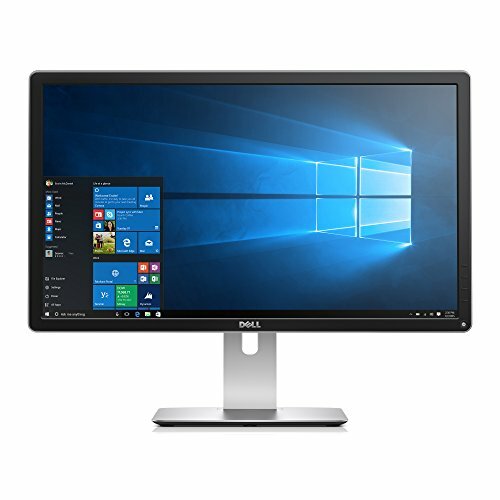 The Dell Ultra HD monitor P2415Q is a solid option if you‘re looking for more clarity and color enhancement in a monitor. Users love the crisp screen, but some complain that it falls short when it comes to gaming. According to the manufacturer, this monitor features four times the resolution of Full HD, exceptional screen clarity, wide color coverage and reliable performance. Its high pixel density helps you see extremely fine details onscreen which can be of great help if you need to e.g. edit higher resolution photos. You can choose between a 24’’ (P2415Q) and 27’’ (P2715Q) 4K monitor. This item might be a solid choice if you want a 4K monitor with nearly perfect color accuracy (99% sRGB). The general user consensus concerning the Dell monitor P2415Q is that it has a great display, beautiful and very bright colors. Many buyers appreciate its sturdy and adjustable stand. However, some buyers state that it might not be suitable for gaming since there is a very noticeable amount of motion blur in games. As they explain, it wouldn’t be so bad if the screen was smaller, but the screen size makes it all so obvious. Some users complain about the lack of built-in speakers. Dell P2415Q 4K Monitor - First Impressions! The Sceptre monitor U278W-4000R could be a good option if you want a 27’’ 4K UHD IPS monitor. Users like the crisp colors, but there are complaints regarding the display malfunctions. The manufacturer boasts that this product delivers superior digital video and audio. It features built-in speakers, two HDMI, one DVI and one Display Port (DP). This product might be a solid option for those who want to be able to see the brightest lights and darkest darks when playing or working. In general, users have a good opinion of the Sceptre monitor U278W-4000R and they conclude that it is great for the price. Many buyers appreciate crisp colors, no backlight bleeding, and the sturdy, metal stand. However, some users complain of getting shaking, flickering, and shifting in the display. One online reviewer complains about no information on how much of the RGB Gamut is supported. There are also complaints about the non-adjustable stand. The ASUS monitor PB287Q is a solid option for someone who wants to enjoy impeccable lifelike visuals. Users love the display characteristics of this monitor, but some do complain of backlight bleeding. This product is a 4K ultra-high definition monitor. It features a 16:9 aspect ratio WLED display that delivers the next-generation 4K UHD visuals. Other features include 1ms GTG response time, Flicker-free technology for less eye fatigue, ergonomically-designed stand with full adjustability, as well as ASUS-exclusive SplendidPlus, VividPixel, GamePlus, and QuickFit technologies. The 4K monitor is available in two sizes: 27’’ (PB279Q) and 28’’ (PB287Q). This item seems like a solid choice for those who are looking for a stunning image clarity. 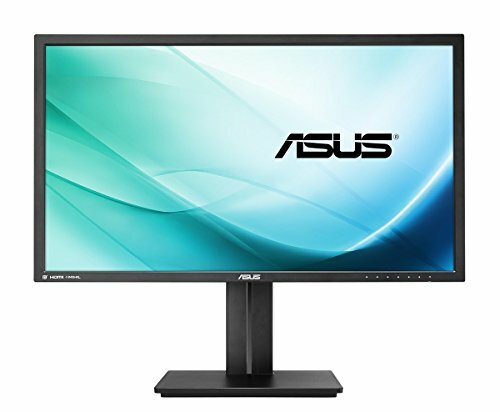 In general, buyers have a very favorable opinion of the ASUS monitor PB287Q. They agree that it has vibrant colors and crisp, clear lines. Users appreciate that the stand is fully adjustable. However, there are many complaints regarding backlight bleeding. 4K refers to a new up and coming technology for video output that is all set to deliver extremely high-quality picture quality for television, whether you're watching TV shows or movies. You may be asking yourself, how does 4K technology work exactly and what will this new technology mean for you personally? Read on to learn the answer to these questions. To start with, the term '4K' is a reference to the resolution of the display on an electronic screen. This 'display' could be the screen of your laptop, desktop PC monitor, television or your iPad. The 'resolution' refers to the number of pixels that can be displayed on that 'display'. If you don't know what pixels are, then let me elaborate. The images that you see on any electronic screen are made up of small dots that are called 'pixels'. These dots, or pixels, combine to form the images that you see on the screen. The more pixels there are on a screen, the more realistic and sharper those images will appear to your human eye (Source). If a screen has a low enough number of pixels that you can make out individual pixels with your naked eye, then the images on the screen will appear to be very blocky and lack any realism. This is why screens that are able to support a greater number of pixels (having a higher resolution) are preferred for our modern day electronic display screens. Compared to what is common these days, 4K is a vastly better and improved resolution. This is why 4K is sometimes referred to as 'Ultra High Definition'. 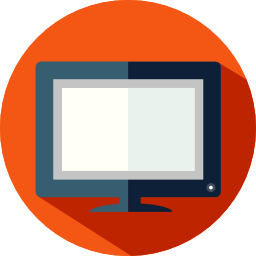 In the context of commercial products that you can buy from the market such as TVs or desktop PC monitors, 4K typically means screens that have a resolution of 2,160 pixels vertically and 3,840 pixels horizontally. The term '4K' derives from the fact that there are approximately four thousand pixels along the horizontal axis. This is a resolution that is four times greater than the 'high definition' resolution that is common today, which is 1080 pixels. Although the term '4K' is the most commonly used term to describe this new type of screen, it is also referred to as Ultra HD, or UHD for short (Source). For the layman consumer who is interested in buying the latest television, these terms may as well refer to the same thing, but there is a technical difference between them. When the term '4K' is used properly, it is referring to a resolution of 4096 x 2160, which is the resolution that was first made common by being used in digital cinemas. On the other hand, Ultra High Definition (UHD) means a resolution of 3840 x 2160, which is the resolution of the latest televisions that are available on the market, which have an aspect ratio of 16:9. Thus, 4K is technically not the correct term for screens with a resolution of 3840 x 2160. However, this has become such a common mistake that people make that nowadays there is almost no practical difference between the two and for most people, the terms '4K' and 'UHD' are one and the same (Source). Are you interested in improving your visual experience while using your laptop or desktop PC? If so, then you should consider upgrading to a 4K monitor. A 4K screen can enhance whatever you are viewing on your monitor screen, whether you are playing a fierce first person shooter game or watching a movie on Netflix, having a 4K monitor screen to view the action on will provide you with ultra-high definition graphics that will appear almost lifelike, sharp and crisp. However, similar to any purchase decision regarding computers or computer peripherals, you will need to take into account various factors before you buy a 4K monitor. The most obvious factor is the price, as 4K monitors can be very costly for the average buyer. To help you make the best decision, we have isolated some of the main variables and factors that you should consider before buying anything. The following are a few of the variables that you should take into consideration when you are deciding to buy a 4K monitor. The contrast ratio refers to the difference between the brightest and the darkest peaks of the monitor and is expressed in the form of a ratio. For example, a contrast ratio of 1,000:1 is deemed to be very good, and the higher this ratio is, the better the contrast quality is. Any ratio that is less than 800:1 is considered to be below average. This is a measurement that is also measured in 'nits'. It refers to the level of darkness or 'blackness' that a monitor can display. The lower the quantities of nits is, the better quality of black level there is. A typical nit level is about 0.5 nits or lower. A good low black level is especially significant when viewing high-quality videos. This might seem like an obvious quality for a good monitor to have. However, you should understand that just like the aforementioned nits for black level, brightness is also measured in nits. The majority of monitors available in the market today have a maximum nit level of 300 or more. However, it is generally recommended to set your monitor nit level at around 150 in order to avoid putting too much strain on your eyes. This is a factor that is mainly relevant for computer gamers. The input lag is the time difference between when you move your mouse and the corresponding movement of the mouse cursor on the screen. Although this lag is tested for all monitors, it is only an important factor if you play computer games that require fast reactions, such as first-person shooter games. Initially, gaming in 4K was a luxury that only very wealthy could enjoy. This was because only extremely high-end PCs and laptops could manage to run video games at 4K resolutions. Luckily for most of us, technological progress has been rapid and yesterday's high-end processors are today's commonly available computers. The current batch of graphics processing cards is two generations improved than the graphics cards available in the recent past. The two main graphics cards of these type are the AMD Radeon RX Vega and the Nvidia GeForce GTX 10-series, and these two brands of graphics cards make gaming in 4K resolutions a feasible and economical option for most people. When you are deciding which 4K monitor would be the best purchase decision for you, the above-mentioned factors are the main things that you should consider. Other factors to learn about are refresh rates, the color range, response times and the type of screen technology that the display uses. With regards to computer gaming, the refresh rates and response times are the most important factors to consider as both of these variables will greatly affect your gaming experience. With regards to the size of your new 4K monitor, it is recommended to buy a 27-inch monitor, as this works best for both realistic desktop ratios as well as picture quality. With that being said, you also have the option to opt for larger sized display screens that will give you extraordinary image quality, while being affordable at the same time.